Get Back to Basics with acclaimed Irish chef Kevin Dundon as he demonstrates how to cook delicious meals from scratch using the best seasonal ingredients from SuperValu. Kevin aims to equip people with new skills and techniques to create tasty meals using key ingredients, and breaks down the basics of cooking at home. Demonstrating core cooking techniques in clear step-by-step sequences, Kevin shows that once you understand the basic technique you can master any dish. Kevin will showcase some of his ‘go-to-recipes’ and take you through his tried-and-tested methods, providing lots of hints, tips and insider secrets along the way. 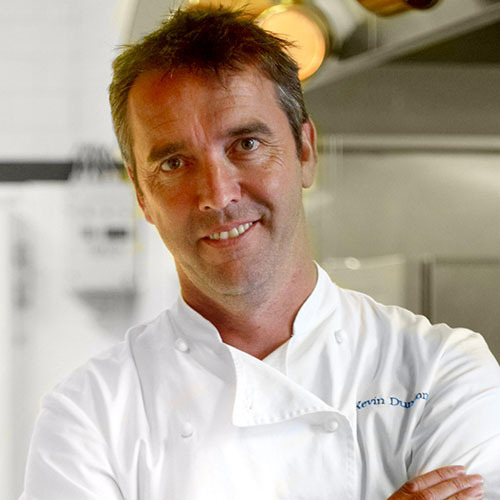 One of Ireland’s best-loved chefs, Kevin Dundon can usually be found busy at work in the Dunbrody House kitchens and cookery school. You will also often find him gracing the TV screens and chatting on Irish radio covering all things to do with food. A chef with a love of locally-sourced indigenous produce Kevin considers himself spoilt with the positive bounty of fresh seafood and fantastic fruit and vegetables literally on his doorstep. Inspiration is easy to come by when you can indulge in the huge selection from the Hook Peninsula and also from Kevin’s own kitchen gardens at his hotel Dunbrody Country House.